At the core of every bankruptcy case is a person's story; a company's heartache; a family's struggle. Sadly, these aspects of bankruptcy are often lost among the legal proceedings involved in the greater process of declaring bankruptcy. At Adams Law Group, however, this will not be the case. Here, financially strapped individuals and business owners will have the opportunity to tell their story and seek advice from professionals that can help them move forward in the best way possible. Clients that seek the help of our bankruptcy team are not given a run-of-the-mill spiel about bankruptcy and the aspects that go along with it. Instead, we sit down with prospective clients and give them the time they deserve to tell their story and then listen to the solutions we have to offer. Effectively putting a stop to creditor calls, foreclosure, repossession, wage garnishments and the like requires attentive listening and proactive action. At our firm, you will get exactly that. Contrary to the stigma that was formally attached to bankruptcy, the process now holds the promise of a "fresh start" for financially strapped individuals throughout the country. At the heart of our nation's bankruptcy laws is the notion that honest, hard-working citizens who have found themselves in a financially compromised position can seek a legal way out. For many debtors, bankruptcy holds the promise of new opportunity - a life free from the creditor harassment, threatening mail and lawsuits that have plagued their lives up to this point. In essence, it supports a life unburdened by the hindrances caused by pre-existing debt. Many of the individuals who come to our firm for help are skeptical at first. That's okay; in fact, it's normal. In the midst of overwhelming financial struggle, it can be difficult to see a way out, and as experienced professionals in the field, we recognize that feeling. Rest assured, the longer you work with us, the clearer it will become that there is such thing as life after bankruptcy, and we can help you get there. Everything you need to get started will be carefully explained by an attorney at our office. We won't move forward with the next step until you feel comfortable and prepared to do so. At Adams Law Group, we work as a team, and you will be a part of this team along every step of the way. Bankruptcy is the solution - not the problem! Far too many debtors desperately try to escape the reality of filing for bankruptcy. These efforts are unnecessary, however. What many people do not understand prior to speaking with a legal professional is the fact that Chapter 7 and Chapter 13 bankruptcy offer many more solutions than problems. In fact, bankruptcy has provided the perfect resolution to a financial struggle that could not have been successfully escaped in any other way. There can be no denying the fact that bankruptcy is a highly complex area of the law. This does not mean, however, that it is an area not worth approaching. With the right attorney by your side, bankruptcy can do far more good than the damages you stand to face if you continue on with your debt as it is now. After filing for Chapter 13 or Chapter 7, the financial relief you'll feel as a taxpayer, business owner, head of the family, etc. will make it all worthwhile. You worked hard to purchase your car, furnish your home, start up your business and proceed through other financial endeavors. Bankruptcy does not have to take those things away from you. In fact, it could help you save them. Adams Law Group is here to explain how, from the documents needed to get started, to what you can expect on your taxes and even the alternatives that might be feasible for your situation. Whether you are proceeding with a Chapter 7 liquidation bankruptcy or you are pursuing Chapter 13 reorganization bankruptcy, we can address the matters creatively, sincerely and as privately as you wish. The need to file for bankruptcy can come unexpectedly or it can build up over years. Either way, the fact of the matter is that you've found yourself in a financial situation that is no longer conducive to your lifestyle. This does not have to mean that your hard earned money and personal purchases should be compromised. All it means is that you need to work with an attorney to find a solution for the problem. 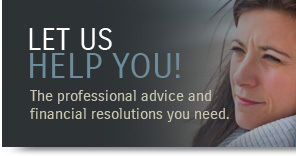 At Adams Law Group, we recognize the stressors of bankruptcy, and we know how to work with them appropriately. Similarly, we understand the privacy of the issue, and we accommodate accordingly. In 2009, our firm was awarded by the U.S. Commerce Association with the Best of Saint Peters Missouri Award. Identified as a company that has achieved success in its local community, we were acknowledged for our professional efforts to enhance the area's positive image of small business through the service we provide to clients throughout the community. This service has not changed. Today, our efforts are fully invested in assisting the clients we represent in Lincoln County, St. Charles County and Warrren County. Committed to helping our clients regain financial stability, Adams Law Group is dedicated to providing fast, viable solutions to financially struggling individuals throughout Missouri. Ethical in our approach and steadfast in our efforts, we will not yield when times get tough, nor will we leave you stranded in the middle of a bankruptcy filing. Every prospective client of the firm is provided with a free initial consultation at which time we can further discuss the personal details of your situation and the options you have moving forward. Don't wait to contact our office today to learn more about how we can be of service to you. Adams Law Group proudly serves many areas of Missouri, including Lincoln County, St. Charles County and Warren County. Do you have an auto loan?